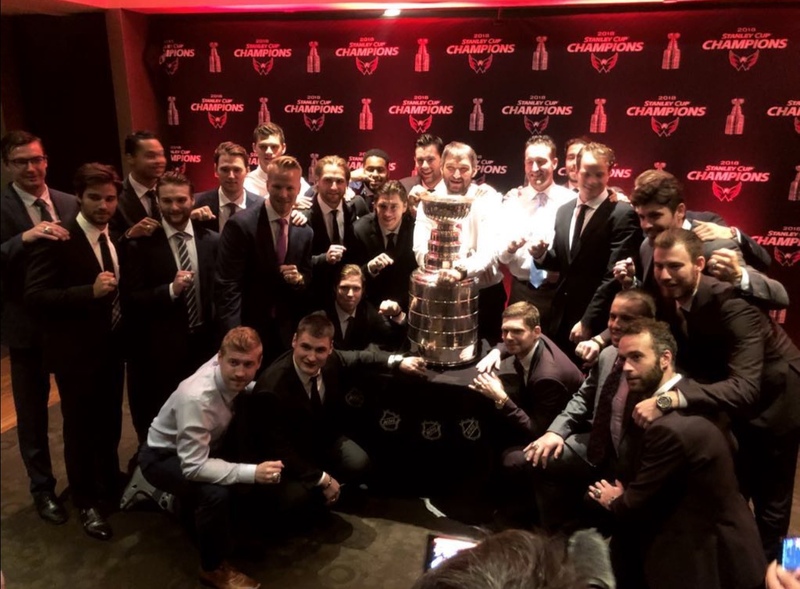 The Washington Capitals held their ring ceremony on Monday evening with the newly-engraved Stanley Cup as a special guest. The event was held at The Palm Restaurant in Tyson’s Corner, Virginia. 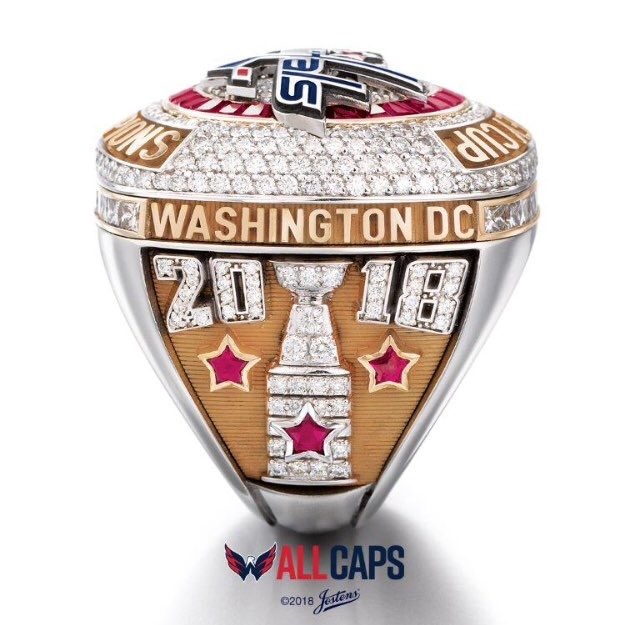 Every returning player from last year’s roster got a Stanley Cup ring as well as each player and coach from last year’s roster, including forwards Jay Beagle, Alex Chiasson, goaltender Philipp Grubauer, coach Barry Trotz, assistant coach Lane Lambert, and goaltending director Mitch Korn. Grubauer was able to join the team for the ceremony. The rings are enormous, with over 10 carats of stones. Each ring is made of 14-karat white and yellow gold, 230 round diamonds, 22 princess-cut diamonds, 28 taper-cut rubies, seven star-shaped rubies, and a star-shaped sapphire. 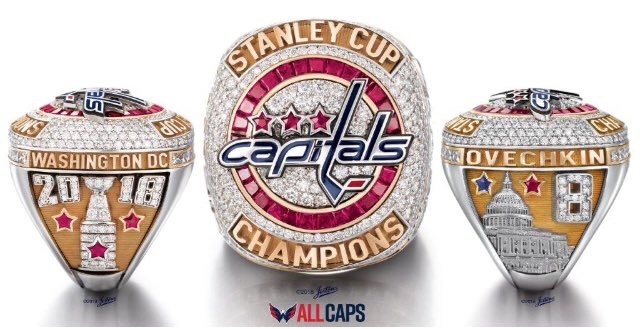 “I said, we want the biggest ring and the best ring and the most rings.”, said Ted Leonsis. So they ordered 1,200. 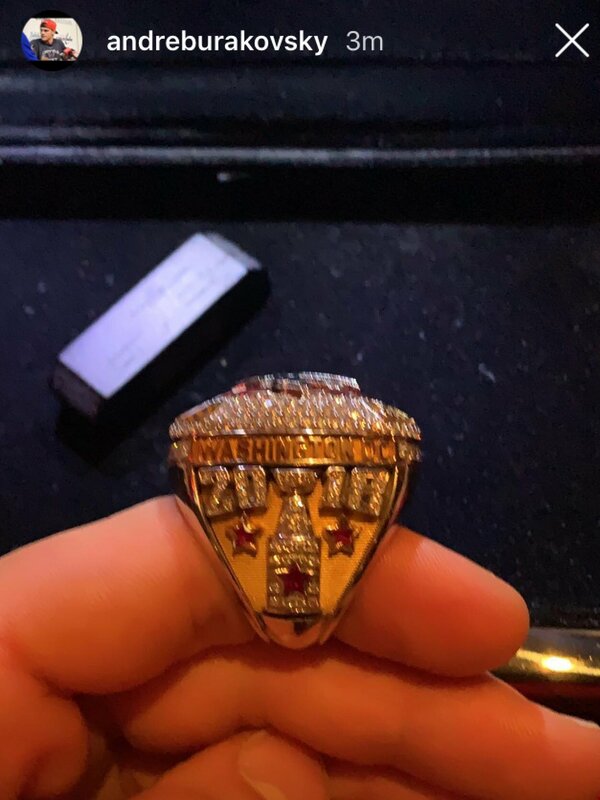 Leonsis has two: one keepsake, and a smaller version to wear in public. The left side of the ring features the player’s name set above the Capitol building, with a star-shaped ruby and sapphire on either side of the Capitol building. The player’s numbers are set to the right with stones ranging from 7 to 18 diamonds. 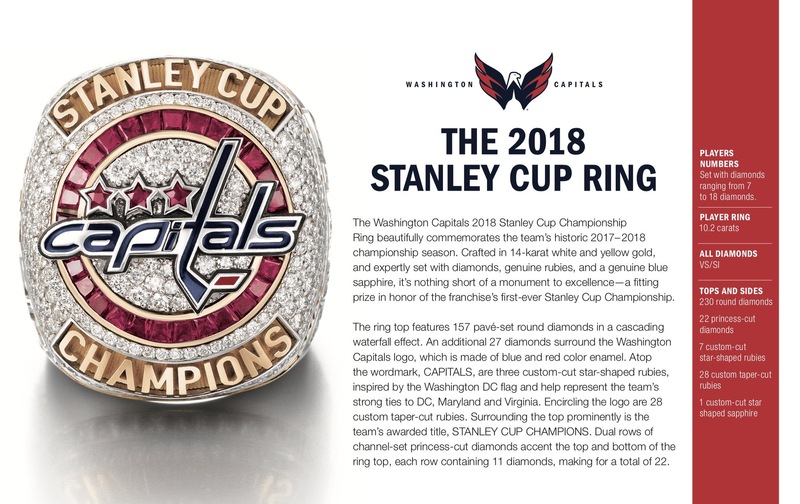 The right side of the ring has the championship date of “2018” in 26 diamonds and a white gold and diamond Stanley Cup. 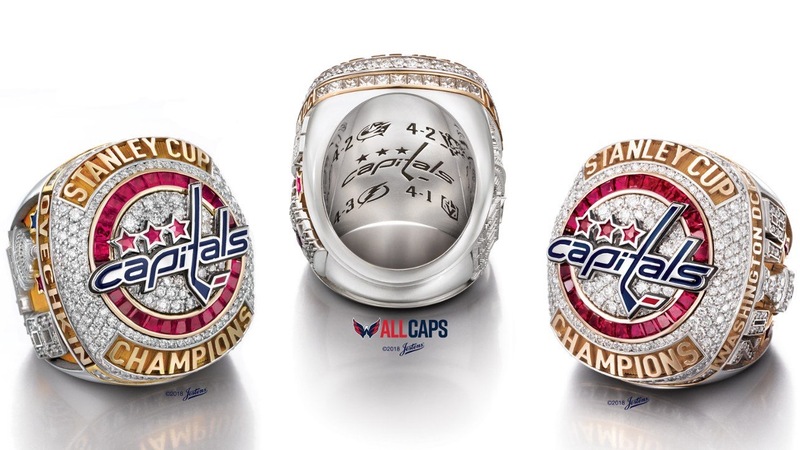 The inside of the ring includes an etching of the Capitals’ logo, the logos of each opponent and the series scores from their Stanley Cup run. 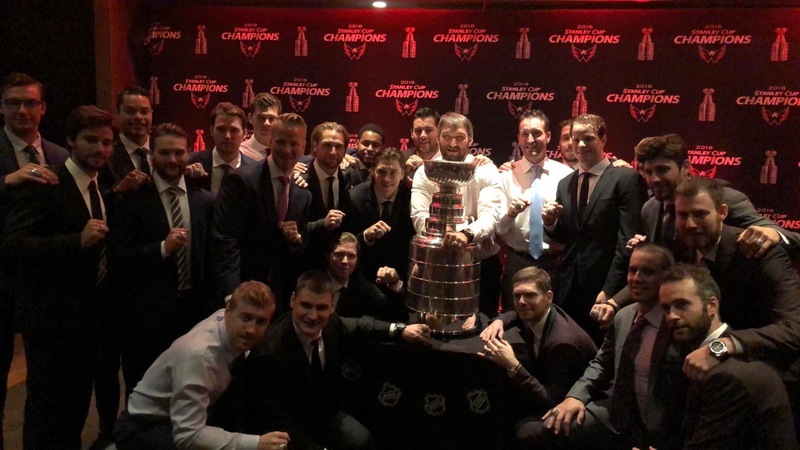 They also debuted the roster and coaches’ names of the 2018 Stanley Cup team got engraved on the trophy during the event on Monday. 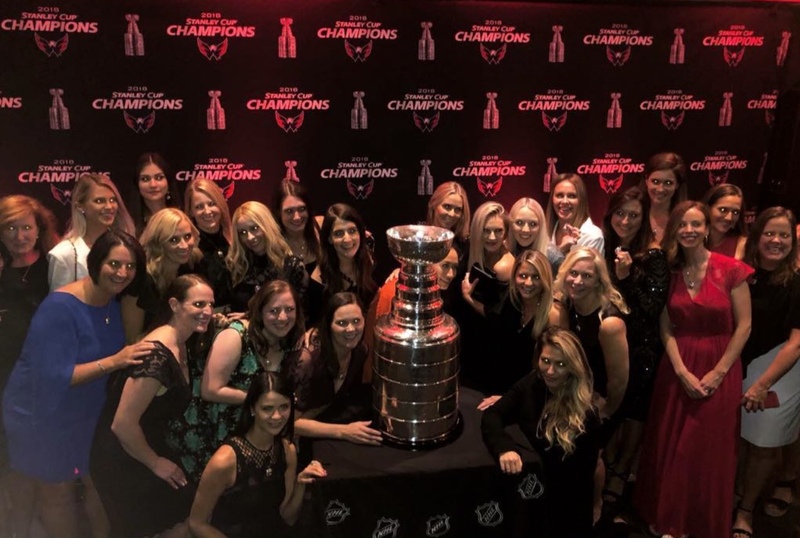 Monday was the last day-off for the Capitals before the start of their 2018-19 campaign and defense of the Stanley Cup. 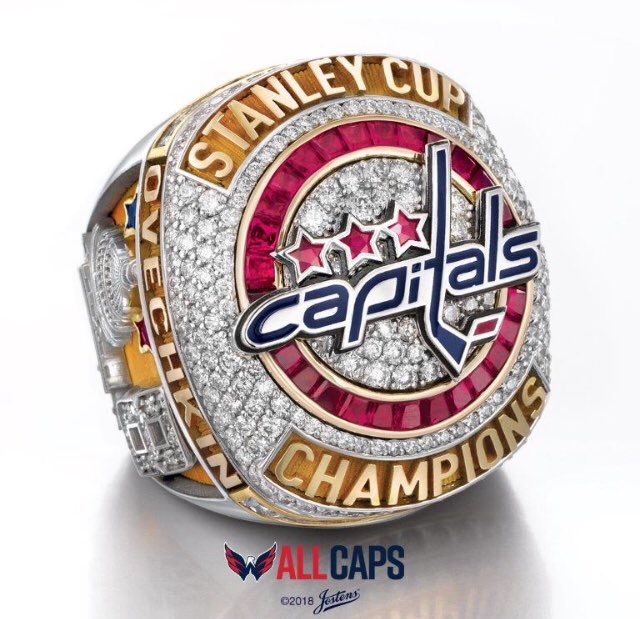 The team will return to practice Tuesday to finalize preparations for Wednesday night’s season opener against the Boston Bruins, where they will raise their Stanley Cup Banner to the rafters of Capital One Arena before puck drop at 7:30 PM. 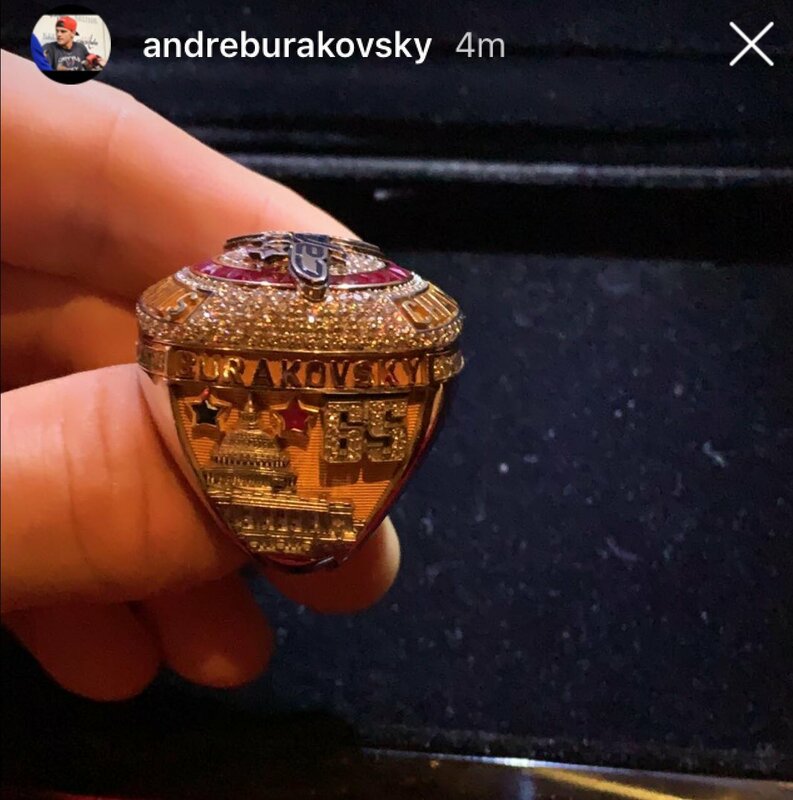 This entry was posted in News, Washington Capitals and tagged Alex Ovechkin, Andre Burakovsky, Harrison Brown, Stanley Cup, Stanley Cup Rings, T.J. Oshie, Washington Capitals. Bookmark the permalink.